A state of sweating induced by fear, nervousness, or illness. That's the definition of cold sweat. And maybe we could add that feeling of frustration when a lifetime sport chance is coming to you, but you're forced to miss it cause a person who's supposed to love you denies it. 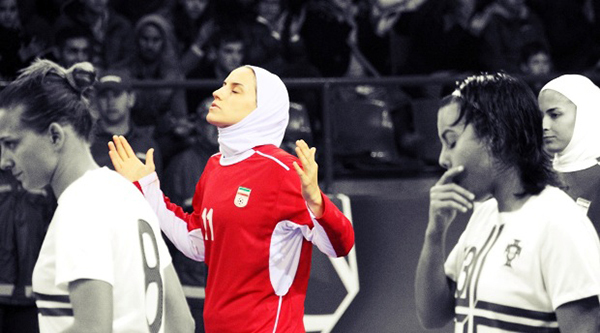 And that's also the real story of "Lady Goal" Niloufar Ardalan, the celeber Iranian (football and futsal) player who could not attend the historical first ever edition of the AFC Women's Futsal Championships (Nilai, Malaysia, 2015) due to the fact that her husband (the sport journalist Mahdi Toutounchi) didn't renew, under country laws Niloufar's passport. Why? The official reason is the following: he wanted his wife home for their 7-year-old son’s first day of school on Sept. 23 as reported by this article on Yahoo Sports. 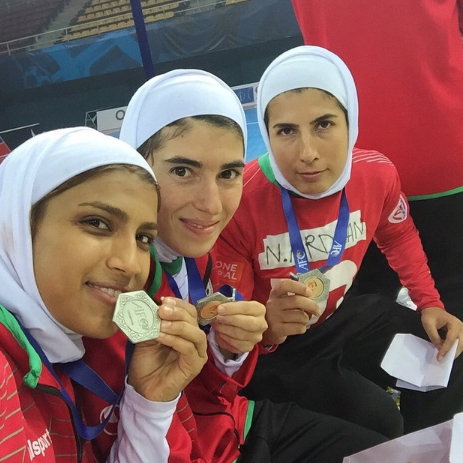 “This tournament was very important for me and as a Muslim woman I wanted to hold my country’s flag high, I wasn’t going there to have fun,” she said. “I just wanted to fight for my national flag. 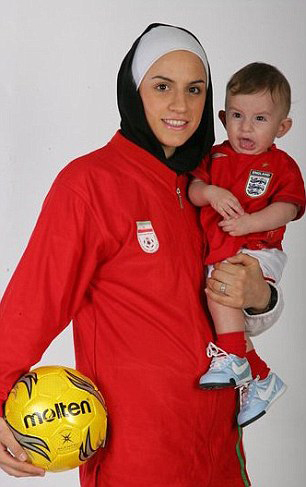 The national team needs me but I’m not able to join them." (Source: The Guardian). 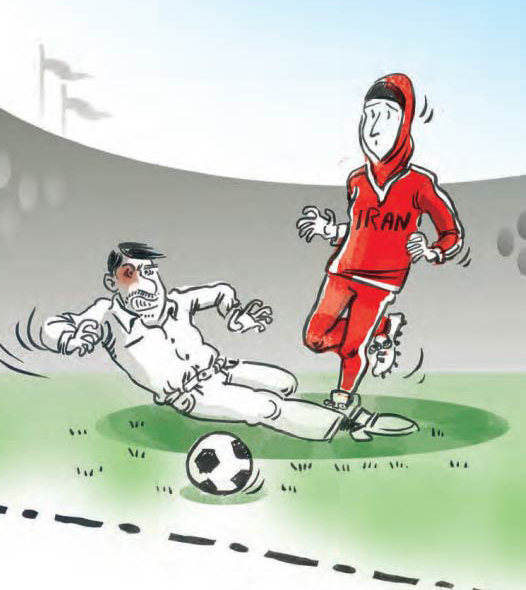 But she didn't give up and few months later she won "her battle" and was allowed to join Iran in the 6th Women Futsal World Tournament, November 2015 in Guatemala. Niloufar's bravery has broken the silence back in 2015. Everybody (we also reported here on Futsalplanet) knew her story but recentl facts have made all memories again actual, showing that the matter is still not solved. Why? Even if not "officially" confirmed it's quite clear that the persian movie Cold Sweat by Soheil Beiraghi is fully inspired to the story of Niloufar Ardalan. The main character is named Afrooz, but that's maybe the only difference. Well, you will struggle to believe it but as clearly reported here by Rohollah Faghihi for Al-Monitor the movie Cold Sweat (even claiming two awards at the Fajr Film Festival ) has been boycotted by Hozeh Honari, "one of the country’s largest cultural institution. Hozeh Honari is affiliated with the Islamic Propaganda Organization, a Tehran-based body whose budget is funded by the Iranian state. Hozeh Honari owns more than 100 cinema halls across Iran, whose boycott would have severe consequences on any film's box office earnings." So, basically there's an attempt to deny people from watching the movie and finding out the example given by a strong woman who was just figthing for her rights, the same ones that would be guaranteed in many other countries. 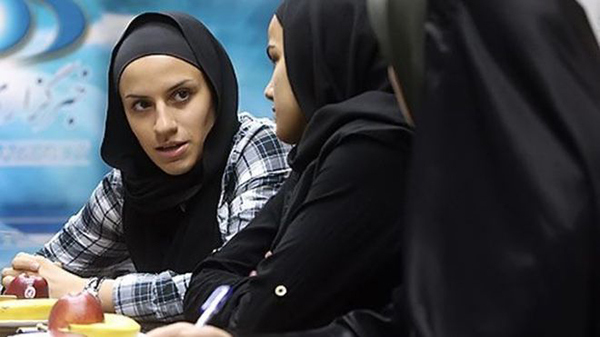 This has provoked reactions in the country, so that somehow Cold Sweat is enjoying an unexpected kind of advertisement and promotion, though even the Iranian National TV has refused to show the movie trailer. 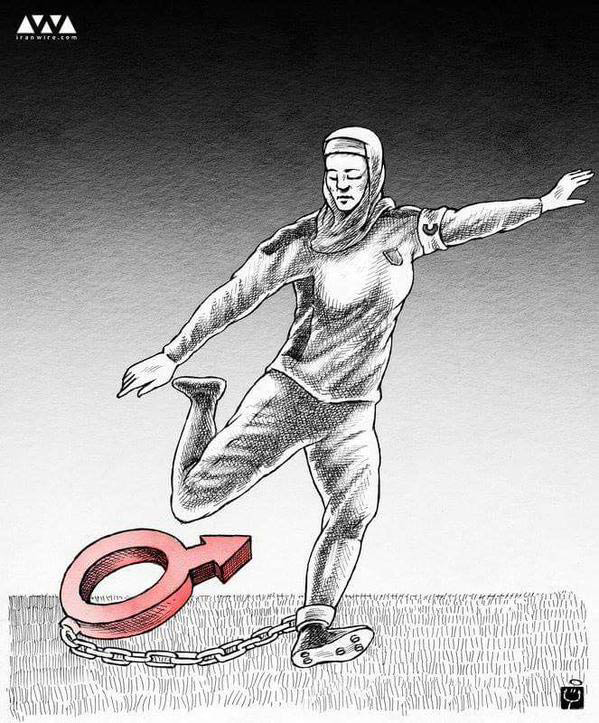 Whatever will happen, Niloufar Ardalan's story will last as something inspirational for women (and not only) fighting for their rights, trying to live their passion in sport as in life. 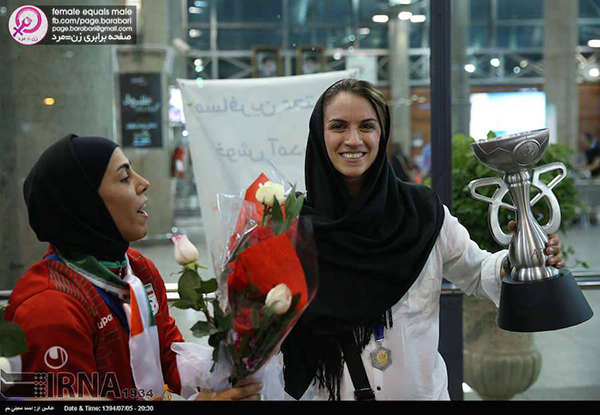 Niloufar Ardalan was not included in the Iranian Women Futsal team roster winning the first ever AFC Futsal Championships but when the girls (who just after the game put a strip with Ardalan name on their shirt, dedicating the triumph to their team-mate) came back holding the cup in the Tehran Imam Khomeini International Airport she was there waiting for them. She knew that trophy belonged to her as well.